We are proud to continually serve the Jacksonville area with outstanding customer service and satisfaction thanks to our incredible staff. Whether you’re searching for a new or used vehicle, service, financing or expert advice, you can always count on our team at Lou Sobh's Honda of the Avenues. Not only will your car-buying process be easy and hassle-free, but you’ll also become part of the Lou Sobh's Honda of the Avenues family. If it’s a brand-new Honda you’re looking for, then browse through our new car inventory. At our dealership, we provide you with an abundance of options to choose from. We maintain an inventory with all the latest sedans, SUVs and vans that come backed by Honda’s longstanding reputation of quality and reliability, so you can rest assured that you’re getting the best vehicle for your money. In addition, we also feature a vast used car inventory as well, if you’re looking for a used car, truck, SUV or van. 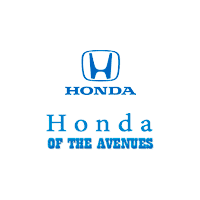 At Lou Sobh's Honda of the Avenues, we guarantee we’ll have a vehicle that piques your interest. Here at Lou Sobh's Honda of the Avenues, our state-of-the-art Service Center is among the best around. Our team of expertly trained technicians are here when you need them and you can trust them to treat your vehicle with the same care and concern as if it were their own. At our dealership, we also offer a fantastic Finance Center that you can utilize at any time. No matter what your credit status may be, our professional finance team is happy to help. Come visit us at Lou Sobh's Honda of the Avenues and take your favorite Honda model for a test-drive, or bring your vehicle by for a service appointment! We are conveniently located at 11333 Philips Hwy, Jacksonville, FL 32256, and we look forward to serving our customers from St. Augustine, Northeast Florida and the First Coast.